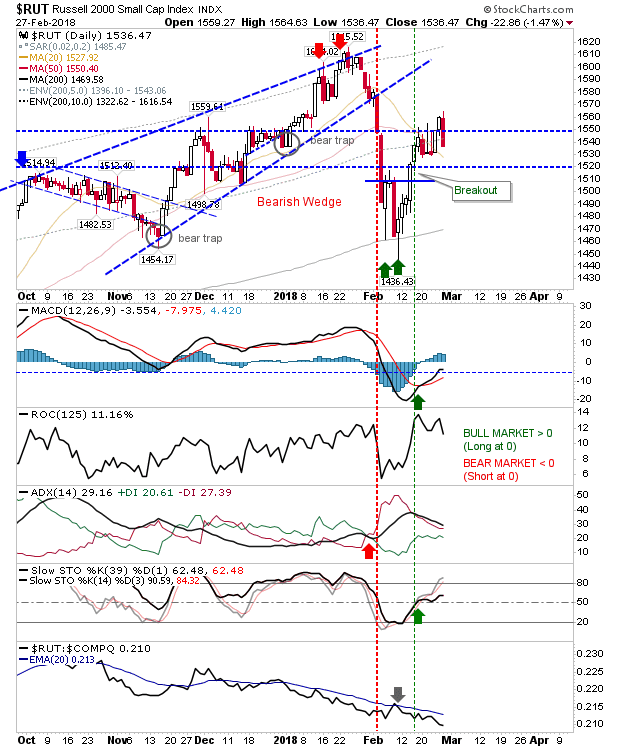 Yesterday saw sellers return with a fresh round of higher volume selling. However, the breakout moves which saw indices clear the congestion of spike highs from last week were not violated so Tuesday's action will not as yet panicked existing longs or buyers of the February swing low to sell just yet. The only exception to this is the Russell 2000 which is struggling to achieve any kind of market leadership. 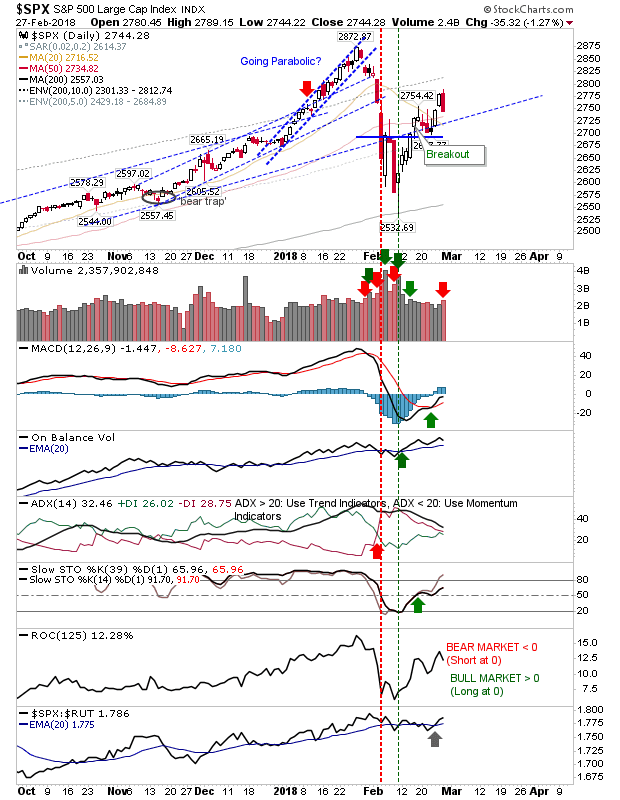 Technicals for the S&P are generally bullish with the index still outperforming the Russell 2000 and the ADX just a small step away from a bullish cross which would be enough to confirm a net bullish picture on the intermediate time frame (i.e. suggesting this rally could go on for another few months). 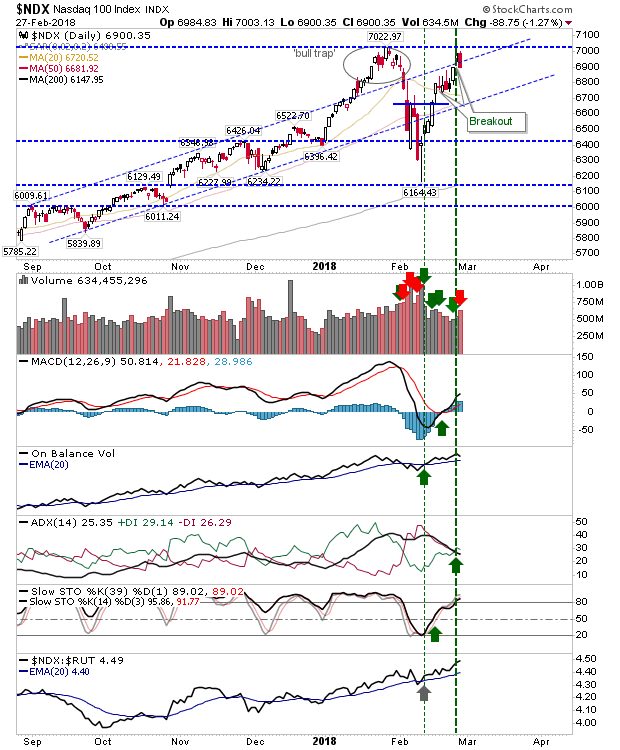 The Nasdaq remained the strongest of the indices with excellent relative performance despite the higher volume selling. The ugliest part of the Russell 2000 is the relative performance of the index against the Nasdaq. Leadership from Small Caps is critical to the sustained success of any rally and we have yet to see this happen here since last October. The index which could throw a surprise is the Dow Jones Industrials. 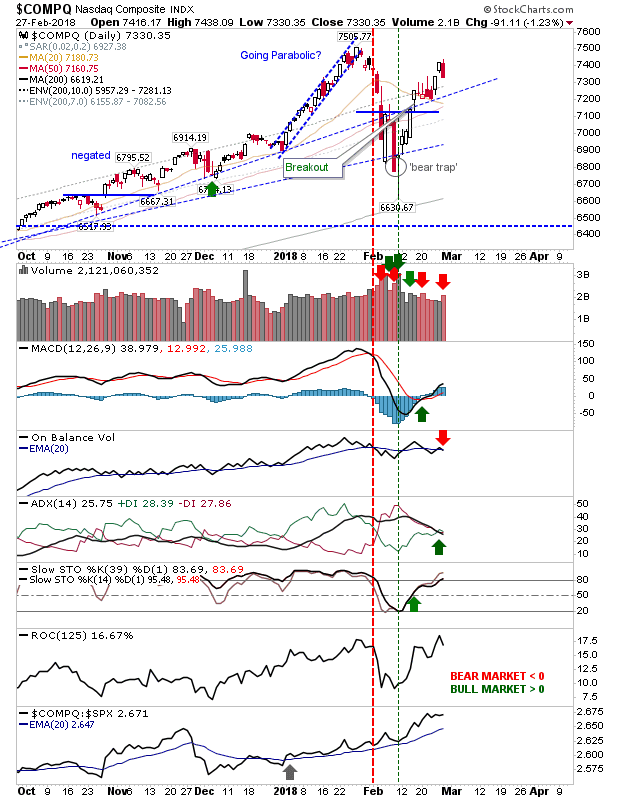 While relative performance has ticked lower (vs the Nasdaq 100) it was the only index not to record a distribution day and is closest (technically) in returning to a net bullish stance. But the index most interesting to watch may be the Nasdaq 100. 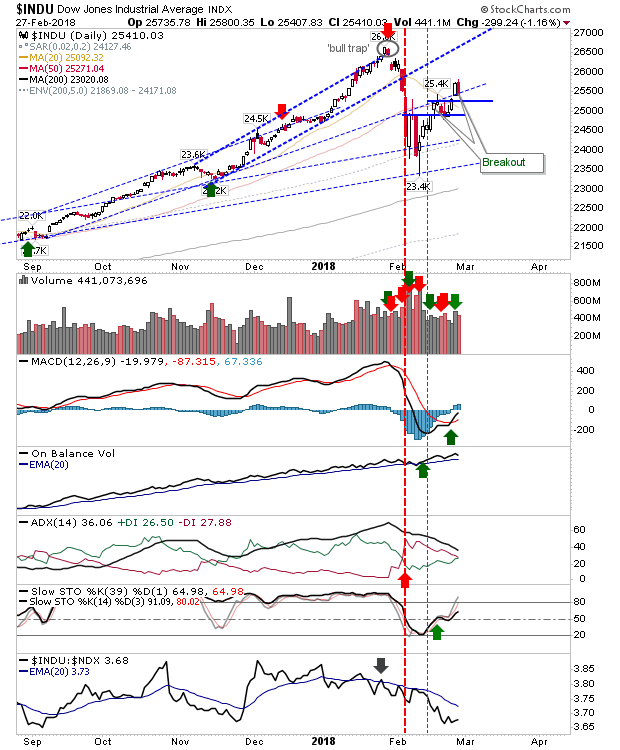 If a double top was to emerge here then it would spell bad news for other indices. Technically, this index is already net bullish, despite Tuesday's distribution day. If it was to move away from 7,000 with shorts attacking this round-number-level-of-resistance then it won't take long for February's swing low buyers to quickly turn into the sellers.